Etapa potencia monofonica 200w. 2x40 clase A. VU meter frontal. Transformador toroidal.To meet the expectations of the most demanding music lovers, who pay particular attention to the final output of their audio system and who dedicate an important part of their free time to listening to music, we created MAA 705. Because of its musical performance together with its smart presentation, the monophonic power amplifier MAA 705 is an awesome piece of equipment. 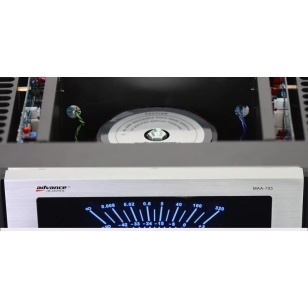 A monophonic amplifier is ideal for improving the overall performance of a Hi-Fi system. Indeed, this principle prevents any interaction between power supply circuits as well as between the left channel and the right channel of the amplifier. To listenning in stereo, it is obviously necessary to use two AA 705. MAA 705 is composed of an ultra rigid partitioned chassis, ensuring efficient insulation. Thus it eliminates any risk of interference between the different circuits in the device. Components with low tolerance are sound-friendly, metal film resistors, polypropylene capacitors. The high power toroïdal transformer (800 VA) which equips each MAA 705 is connected to a “bridged” amplifier. The hybrid combination of FET transistors and high current bipolar power transistors give to MAA 705 outstanding performing ability. MAA 705 can supply all types of acoustic speakers and will never be faulted in terms of power and dynamics. It reproduces with rhythm and melody the subtleties from the best sources. MAA 705 produces an output of 200 W per channel in class AB *, the first 40 Watts are in class A*. The commutation of Class A* towards class AB ** is automatic. Two balanced or unbalanced stereo plugs enable MAA 705 to be connected to any preamplifier. 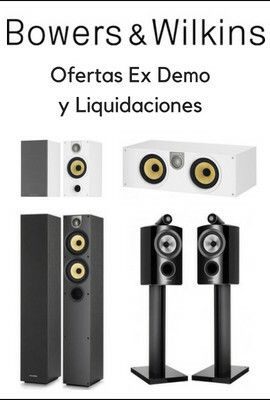 MAA 705 enables numerous evolutions towards multi amplification and Home Cinema. The power block MAA 705 can be connected to the pre-amplifier MPP 206, MPP 505 or MPP 1000. *Class A imposes a constant current in the power transistors whatever the requested power. (up to 40 Watts, in the case of MAA 705), which significantly improves the dynamic response of the amplifier.